Russia, Suffer the Little Children. On December 28th, 2012, the Russian president, Vladimir Putin, signed a new bill into law, the so-called Dima Yakovlev Bill: an internationally controversial new law banning the adoption of Russian children by the United States. Putin has since notified his government to make it easier for Russians to adopt their own future country men and woman, a patriotic and heart-warming move to be sure. He is defending his anti-U.S. adoption move with tongue-in-cheek statements about the high living standards in the U.S. suggesting that perhaps all Russians should move to the U.S… Despite the typical international disapproval, I think the new bill is a good thing, for surely a parentless Russian child to find a new home in Moscow or Saint Petersburg with Russian-speaking parents is a wonderful event in that child’s life, yet there is a hidden agenda here. Standing out as to what might be thought of as the most probable reason for this could be an attempt to counter the declining Russian population and who would want to emigrate to Russia anyway? What with Russia’s well-known low standard of living, obvious political corruption (Boris Yeltsin 1991-96) and very harsh winters resulting in a high death rate. So, holding on to Russian children to populate the hinterland providing an urban catchment for industry and commerce does make sense, but still, as I say, Putin has a hidden agenda. One might ask why is Putin bringing up this issue now? The obvious answer of: “Well, Putin’s thinking ahead” is just too easy. If Putin was thinking long term, he would likely make it more interesting and desirable to move to Russia, but he’s not. RT.com: ” The Russian leader added that there are a lot of countries where living standards are higher than in Russia, but this is hardly a reason to allow uncontrollable adoption” Clearly President Putin is leaning on the adoption brakes here excessively, but who would blame him? The children on the streets of Leningrad and Moscow are the future of Russia. Seeing high-level politicians make new and bold moves begs questions, but without the knowledge of the impending Earth pole-shift, they are still examined with the same old concepts: power and money or some personal egotistical motive. Is Putin’s anti-adoption move a rare exception to the rule? I think not. 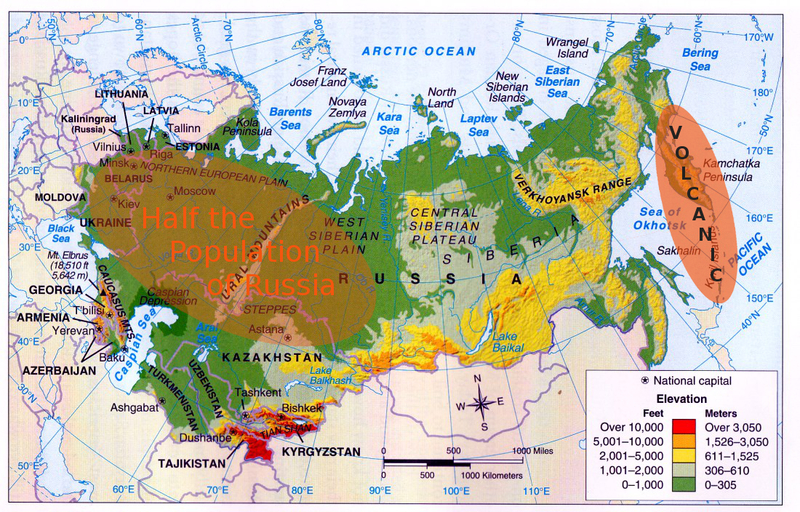 Putin knows about the pole-shift, as many world leaders are pole-shift aware today, but in Putin’s case, he has a relatively uncommon problem: more than half the population of Russia live on lands that will be washed over by the waves during the pole-shift. It also looks like Russia will lose three quarters of it’s land mass due to the dramatically rising seas in the aftertime, not only that, but eastern Russia will likely be uninhabitable for many years in the after-time: the Kamchatka peninsula and the surrounding area hosts 160 volcanoes, many of which will likely activate during the pole-shift. Let’s face it, children are more likely to survive the poleshift than an adult, beside that, they are the repopulators he needs to ensure the future of a Russia in the aftertime. December 11th, 2012. 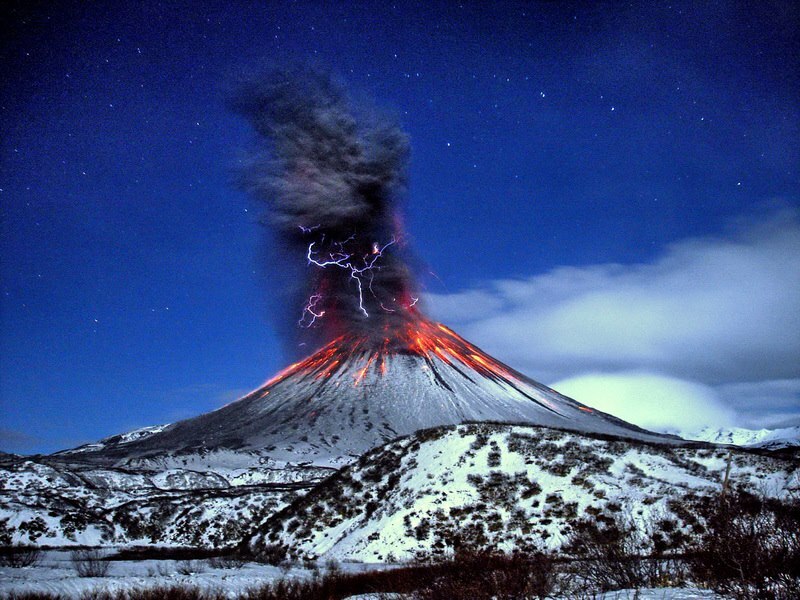 The Plosky Tolbachik volcano on the kamchatka peninsula erupts after 40 years of dormancy pouring out an estimated 1,200 tons of lava every second. Many volcanoes like this will erupt and stay active for many years after the pole-shift rendering east Russia uninhabitable for many decades thereafter. This entry was posted in News Commentary, Opinion Pieces and tagged After-Time, Earth Pole-shift, nibiru, planet x, pole shift, the poleshift, Zetatalk. Bookmark the permalink.